Beercation is a word that’s in use across the pond. I’ve seen it in publications from both the USA and Canada. I started sneaking it into things I write for mainstream consumer magazines here in the UK a while ago, but it doesn’t seem to be in common usage here yet. If you hate portmanteau words, look away now, but I think it’s worth beer lovers – be they drinkers or industry professionals – getting behind the term. 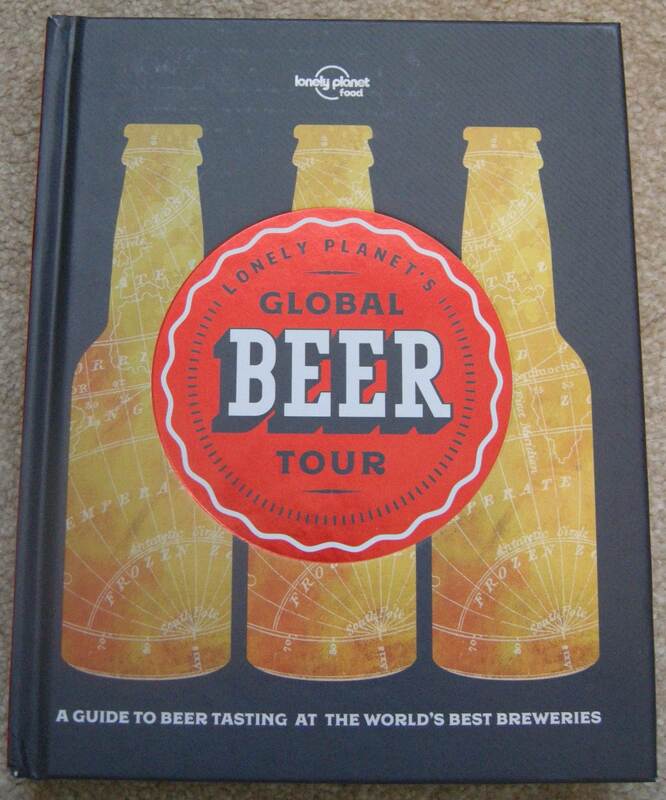 It isn’t called The Big Book of Beercations, but Lonely Planet has just published Global Beer Tour, subtitled ‘A guide to beer tasting at the world’s best breweries.’ Although it’s more coffee table book than travel guide, being a fairly chunky hardback, its publication is both a sign of beer’s significance and an opportunity for ensuring its future remains bright – both in terms of sales and status. Judging by the book’s section on the UK, you might argue it’s somewhat hit and miss on its selection of breweries, but it’s worth getting hold of a copy and making up your own mind. Some bonus points can be awarded for having the savvy to do a collaboration beer to promote the book though. Travel Notes (6.5%) is, of course, an IPA created by Fieldwork Brewing Co of Berkeley, USA and our own Northern Monk of Leeds – both of whom feature in the book. As well as the usual ingredients (You know! Water, malted barley, hops and yeast.) It includes açai berries from South America and mango from Africa which together with malt from Europe (including Britain) and hops from the US and Australia means they can tout it as having five ingredients from five continents. Whatever you think of the book, it could be seen as beer turning yet another new corner and it definitely suggests there’s potential in linking tourism and travel with beer in a deliberate, organised way. Ever the trendsetters, BrewDog already have plans for a beer hotel – with beer on tap in the rooms. 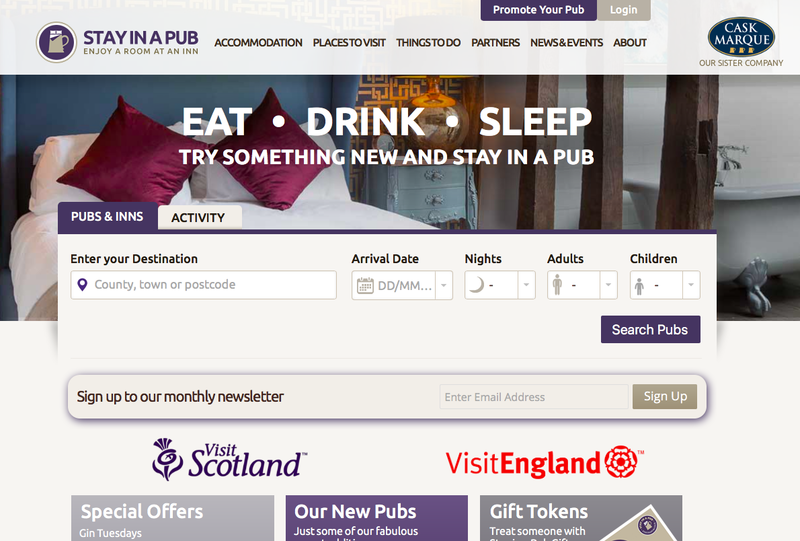 Then there’s the more traditional stay in a pub website – the brainchild of Paul Nunny of Cask Marque who believes accommodation is going to become an increasingly more important income stream for pubs. He’s probably right, but if they want to cash in on the beercation concept pubs will need to put in extra effort. To be a beercation destination pubs will need to offer a brilliant and varied selection of perfectly served beer. (An obvious line up of bestselling, but dull, brown cask ales and some ‘world’ lagers will NOT cut it for beercationers). They’ll also need to offer top notch grub made from the best ingredients, freshly prepared and never microwaved. To maximise the effect, pubs will need to work with each other, with nearby breweries and with any local beer-related businesses to create a location that beer-lovers will find worth travelling to and staying in – and to ensure it’s a genuine one. I can’t emphasise enough, how much damage promoting a fake beercation destination would do. Truth told, it’s not just this new Lonely Planet book that’s made me think the age of the beercation has arrived. The likes of Brewtown Tours, UK Brewery Tours and even low key minibus tours of Kent micropubs are just a few examples of businesses that revolve around people’s interest in beer. It’s more than just a passing interest. People actively want to find out more about beer, the people who make it and all the different breweries currently open in the UK and beyond. 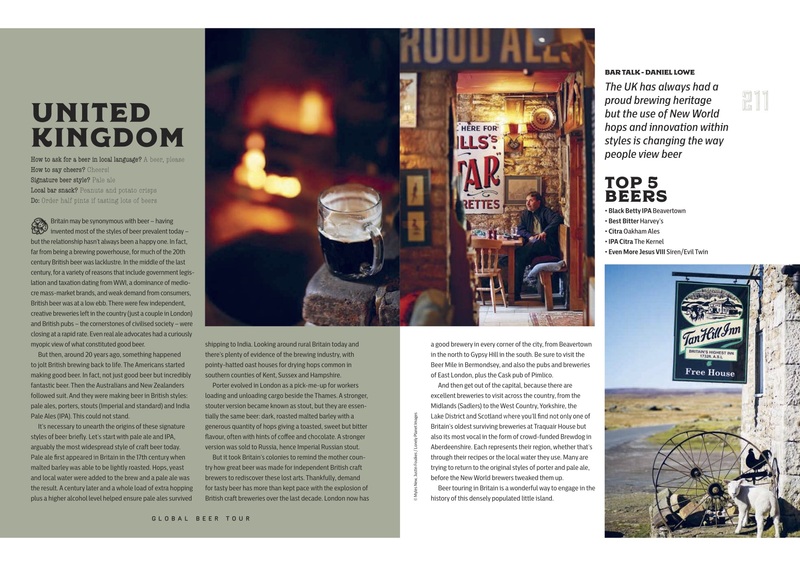 Whether it’s a city break, a trip to the countryside, a foreign holiday or even a staycation – now is the time for drinkers to get out and explore and for pubs, brewers and other beer pro’s to make sure the beercation opportunity pays off. To this end, look out for forthcoming posts on some beercation destinations you might want to visit. A beercation travelling through, and staying in, pubs across the world would be an incredible experience! It’s great to hear that so many people are actively taking an interest in the different traditions and heritage represented by beers across the world. Great post! Fantastic term – it encompasses one excellent reason to travel to a new location: beer tasting. There’s nothing quite like tasting a brew in its home town. Any beer geeks planning a holiday should certainly keep the local beers in mind, and plan accordingly! Beercation is a great concept – keep plugging away, it’ll catch on soon!